Planning an event should be should be fun, memorable and stress-free, it should be a time where you are free to get creative, be inspired and an excuse to turn those pinterest ideas into something that showcases your unique personalities. We (James and Melinda) here at Just Hitched want to be a part of that journey in bringing your ideas and aspirations to life. 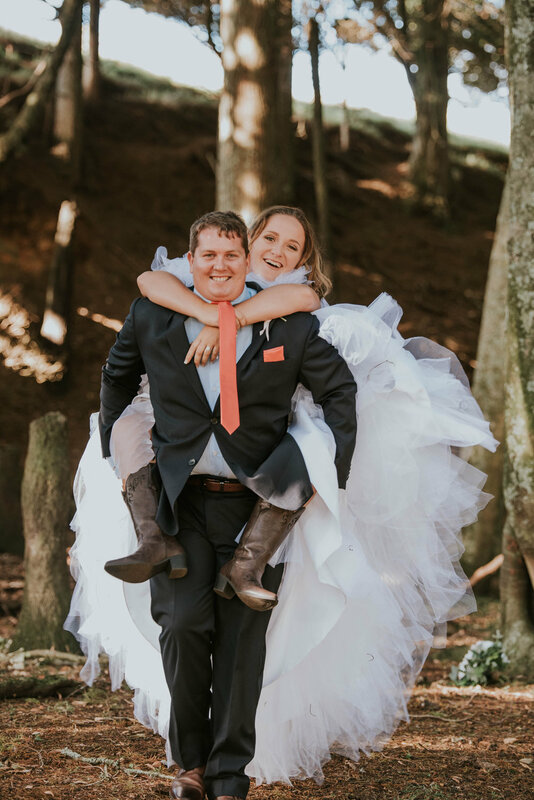 As recent newlyweds (hence the name Just Hitched) we know firsthand the struggles that go on behind the scenes when planning a wedding or any event for that matter. Vendors that don't get back to you, hidden costs, last minute cancellations, poor service and low quality or misrepresented products are only a few of the negative experiences we encountered in our own wedding planning and we don’t want you to have to experience the same. We pride ourselves on customer service and going above and beyond, unique products, prices inclusive of gst (so no hidden costs 'YAY') and transparency. We don’t claim to be a big corporate company, nor do we have a flash show room or little minions to do our work for us. But because we keep it simple, we are able to keep prices competitively low. We have PASSION and we want to help you make the most of your next event. So if you are ready to add something special to your next event, why not head over to our contact page or have a browse through our online hire gallery. Ante Natal and/or Post Natal Distress.